embody the best of old-style and vintage embellishments. 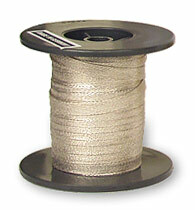 are twisted through a cotton thread center. 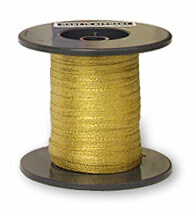 this glittery metallic cording is 1/16" wide. the silver plated Lahn is "guaranteed to tarnish." This luxurious, Victorian-style ribbon is made from real metallic threads! 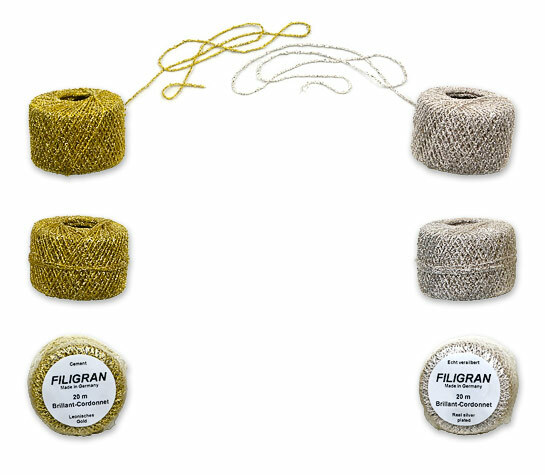 Manufactured on an antique machine, this old-style ribbon has a tight, meshed weave which can be fanned out to create airy effects when making bows. These metallic ribbons will darken with age to an antiqued look, so if you want to keep the Plattlitze ribbon shiny bright when not in use, just keep the spool covered in plastic wrap or an airtight plastic bag. Ours from Germany. 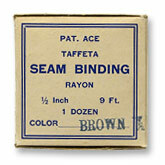 More than 75 years old, these rolls of taffeta seam binding are all still in their original cardboard sleeves. 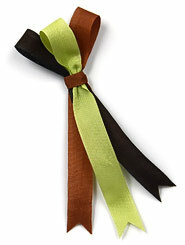 Featuring woven edges and a silky finish, this rayon ribbon is "tub fast." Each roll has 9' of 1/2" wide seam binding.